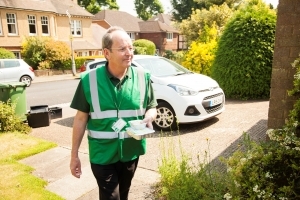 Hertfordshire Independent Living Service (HILS) delivers meals on wheels across Hertfordshire as well as providing a range of other services including befriending, advocacy, and clubs for people with mild to moderate dementia. A simple red/amber/green traffic light system alerts drivers each and every time they depart from a safe, smooth driving style, enabling them to take alternative action and embed good driving habits on a daily basis. The sophisticated system, which monitors more than 150 vehicle movements, also sends reports to managers detailing when and where any risky maneuvres such as sharp braking have taken place. dropped by 42 per cent in the first nine months of operation. Fuel economy has also improved, as safe, smooth driving uses less fuel. Managers have spent less time sorting out accident-related paperwork, freeing them up to attend to other priorities, and HILS has the reassurance of knowing where its lone workers are on their rounds by tracking them via GreenRoad. Tom Cottam, Head of Business Development, HILS, said: “Particularly as a charitable Social Enterprise, HILS has a duty to members of the public to ensure that its Community Team members are driving safely and to the standards expected of them. “HILS also has a duty of care for its members of staff, many of whom are lone workers, to ensure their safety. The GreenRoad system caters for both, ensuring that driver behavior matches the required standards, and that HILS has a method through which to track its lone workers whilst they are performing their duties. “The GreenRoad system is the best option on the market due to its focus on supporting and coaching drivers to improve their driving habits. This very much matches the value-led ethos of our organisation, and our commitment to developing our team members. Drivers have been particularly keen on the GreenRoad App that enables them to access their own personal driving safety score. Many drivers, including some who at the outset were most apprehensive about using the system, have taken it upon themselves to improve their safety score. HILS took great care in introducing the system to drivers by asking GreenRoad to train one of its staff in the implementation of the devices. This has enabled HILS to be flexible and also to have ongoing technical expertize within the organisation. The organisation investigated telematics systems because it wanted to improve its insurance claims record, which in recent years had led to an increase in insurance premiums, and also to reduce fuel costs and vehicle incidents, and ensure the safety of its teams. HILS runs a fleet of 66 vehicles, mostly Hyundai i10s, but also nine Hyundai i30s, seven Nissan Micras, two Ford Transits and one Skoda Roomster. Chris Horbowyj, GreenRoad’s UK Director of Sales said: “Driver behavior is at the heart of road safety and we are delighted that Hertfordshire Independent Living Service has turned to GreenRoad to improve the safety and efficiency of its fleet. Since it was first established in 2007 as Hertfordshire Community Meals, a not-for-profit organisation with two vans and a team of volunteers, HILS has expanded to cover the whole of Hertfordshire and offer a wider range of services. Its innovative approach won it Social Enterprise of the Year in the 2014 National Business Awards and it adopted its new name in 2015.